There is no room in Society for kinda-Winter-People. It is a total mind and body commitment. When you say, "Isn't Orion the most beautiful of all the constellations?" the sincerity in your voice should be as thick as a down bootie, You should be the kind of person that keeps a pair of easy-striding V-tail snowshows in your vehicle year-round. Just to keep your head in the game. Pros: Extruded 6000 series aluminum tubing,Heavy,heavy duty vinyl for the decking. Cons: No hiking poles for the internet snowshoes however, in-store snowshoes have them available!! A great way to get out of the house if all else fails! 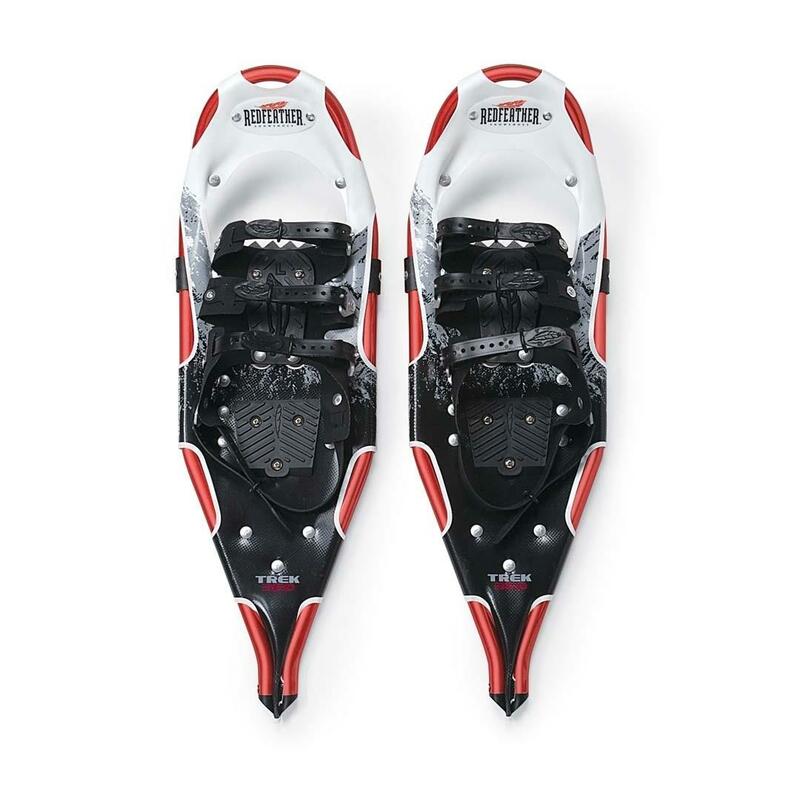 The Redfeather 25 with the v-tail has a stainless steel crampon system.It also has a live response hinge system which lifts the tail of shoe from the snow with every step.Great to store in your truck and great to have in your mudroom!! Snow to deep to get out, no worries now. 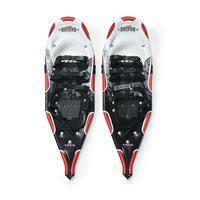 Used my new snowshoes during last years big storm and they were great. Felt like I was the only one able to get around neighborhood. would highly recommend to those who want to get out in the winter for those snowy hikes.